The first thing I would like to do is to congratulate Andy on a great tournament. 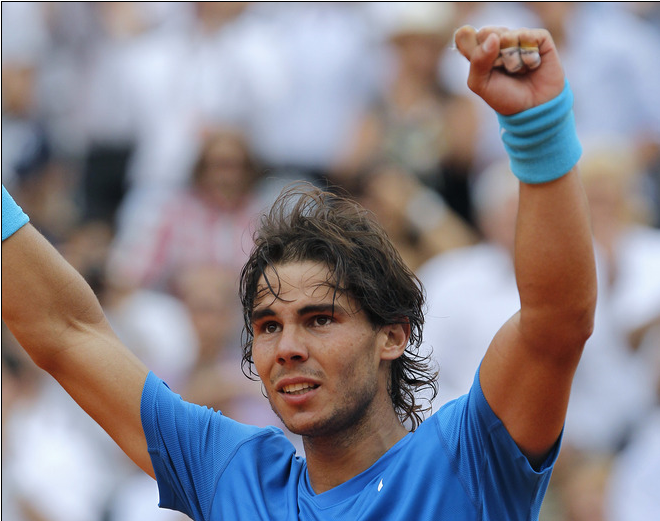 I really like him as a player, I think he is incredibly talented and will soon win a Grand Slam. There is no doubt about it, or at least I have no doubt about it. And I also like him a lot as a person. I wish him all the best and I enjoy always being with him and his team. Having said that we always play great matches and today it was also a great tennis match. I am very happy to be back on a final. I have said I am very happy with the season since I have been in many finals. Clearly there has been a better player than me so far and I have to admit that, but my year has been very good so far. So I am back on the final here in Paris and that really is something special for me. I am watching now the match in my room between the great Roger and Novak and it is really exciting. I have said on court that the best player of the history is playing against the best player of the year who whoever makes it to the final will be in any case a very difficult opponent. It was so great to see your best tennis came back when you beat Soderling, you played magnifico! I was wondering if you did anything special or different to get your best tennis back? RN: Hi, thanks for your question. I really didn't do anything. I was practicing well but I was not playing well. It is only a matter of confidence and in the last two macthes i played well. I am very happy for that. I am a big fan of yours. Who do you think would win if you were to play Sampras or Agassi? RN: I don't really understand what you mean. I would think that on clay Agassi had more chances. Is that it? You modelled underwear for Armani this year - and looked vastly better than Cristiano Ronaldo. Any plans to bring out your own underwear line like Bjorn Borg did? RN: I always say you can practice everything in tennis and the mental part is also a part of it. It is something you work every day since the beginning of the career. Thank you so much for taking time to speak with the fans. It’s great that you answer our questions. My question is this. Apart from Andy Murray british tennis players are not as good as those from Spain. What do you do different in training and development in Spain and what do we need to do be improve our standing? RN: This is a very complicated question that would need a lot of space to answer. I think there are a lot of factors why Spanish tennis has been so successful lately in the years. But I could not give my opinion about British tennis since I don't know well their structure. So I suppose I'll leave this for another time.